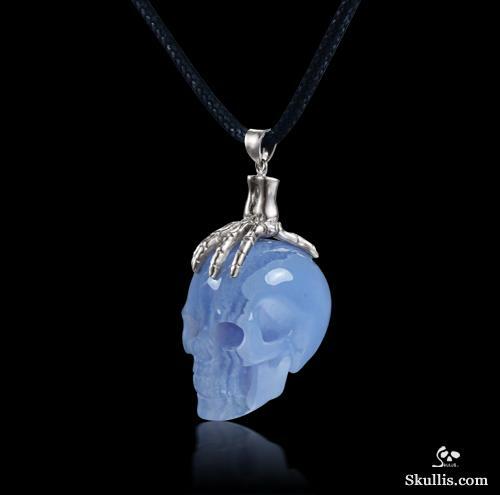 You are looking at a Blue Lace Agate skull pendant. Blue Lace is one of the most prized agates and has been hard to find lately. The best Blue Lace Agate comes from Namibia. 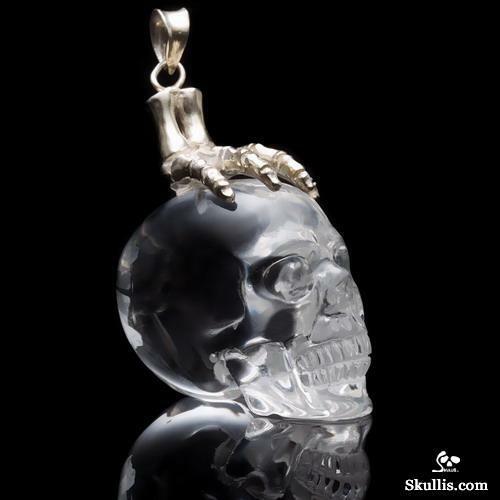 It helps one to reach hige spiritual place, Associated with hope, unity, cleansing, harmony, protection,optimism, positive thinking. smooth energy flow, joy, truth, purification and promptness. Makes us more easygoing.